Headwaters Junction offers something for everyone. 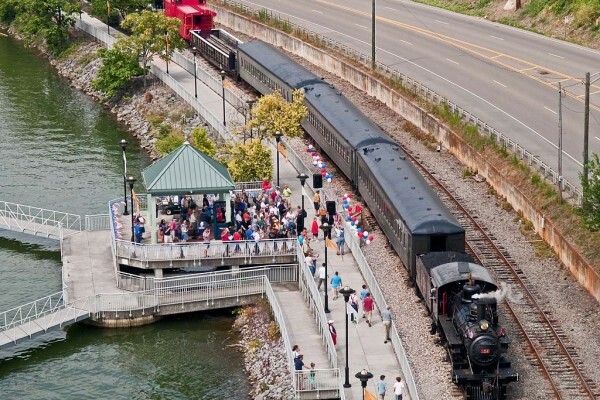 Imagine boarding a dinner train, hearing a concert along the riverfront, touring the city by bike, streetcar, or boat. 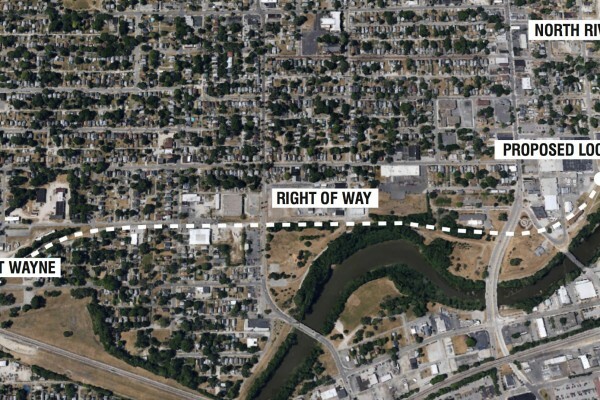 Envision locally owned shops, restaurants, and more at the junction of Fort Wayne’s rivers, rails, and trails. Set against the atmospheric backdrop and theatrical setting of a recreated roundhouse and railyard, the riverfront is the ideal venue for the adventure of your choosing. Experience the excitement and romance of Fort Wayne at the turn of the century where visitors can climb aboard the city’s larger-than-life time machines. 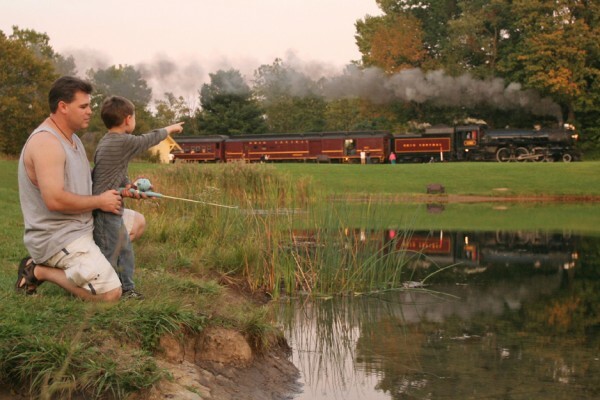 Learn how to operate a real locomotive, tour the restoration shop to witness regional history at work, climb aboard a vintage train, and visit throughout the year for fantastic events and operations for the entire family. 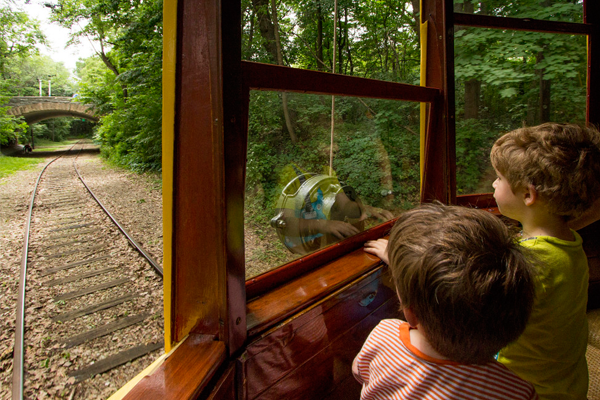 Seasonal tourist trains give visitors an opportunity to ride aboard a streetcar or vintage passenger train. Scheduled trains can also provide an alternative transportation method to arriving downtown for events like games at Parkview Field with two station stops north of the city at Washington Center and Franke Park, with points in between. Key events like the Polar Express transform a part of the city into the North Pole, bringing the Santa Trains downtown for the first time in over 50 years. 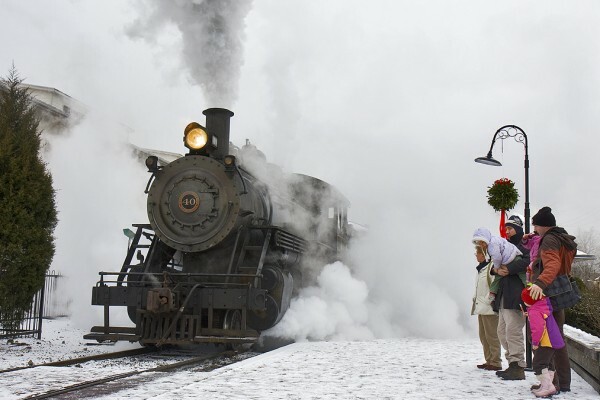 No journey to the North Pole is complete without hot chocolate, a coal- fired stove, and a train ride with Santa and his friends. Many Polar Express operations throughout the country individually enjoy over 10,000 passengers in December. Dinner on the train one night, lunch on the river the next. Enjoy the city from new perspectives high and low, docking at nearby restaurants, retail corridors, and neighboring trailheads. Host outings, event trains, dinner and wine trains and more for your corporation, convention, meeting or special event. Give your clients, guests, or attendees unique memories and experiences along Fort Wayne’s river, rail and trail. With over 60 miles of trails to cover, the rail line links four trails together. With the Trailhead Station at Headwaters Junction, The Cougar Trail, Pufferbelly Trail, GR&I Trail and Rivergreenway all enjoy station stops along the planned tourist railroad. Ride through town on your own wheels, relax on our wheels for the return. Cyclists can also enjoy bike storage for stopovers. 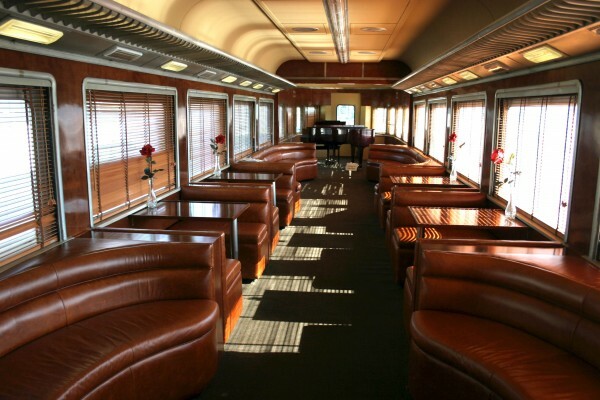 Passengers enjoy an inspired full course meal in a faithful recreation of the dining car experience on the route of the railroad where recipes are patterned after famous name train menus. Elegant wine tasting aboard first class passenger cars provides a unique social setting for the discerning wine connoisseur. Visitors take the controls of a 100-year-old steam or vintage diesel locomotive on the Fort Wayne Railroad and become a student engineer for an hour of operation. Event Trains operate during festivals, downtown events, and holidays provide tailored family experiences. From special trains on Easter, Halloween, and the 4th of July, banner events throughout the year provide dozens more community offerings. 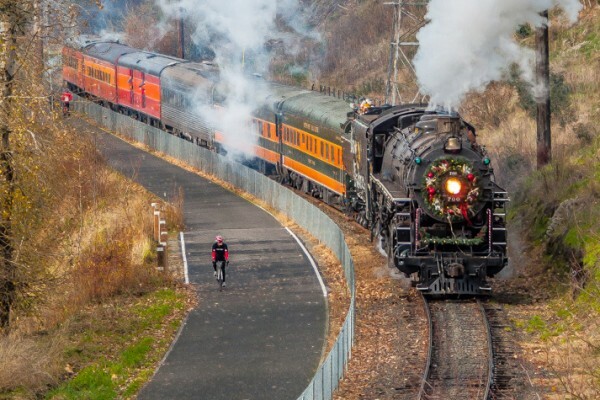 Many holiday trains double annual attendance. Privately booked trains run for parties and special events, with everything from a caboose, first class passenger car, or an entire train-set available. Also available are special photo and film charters aimed at photographers to take advantage of the railroad’s atmosphere, subjects and unique settings. Photo charters are patronized by clients from around the world. 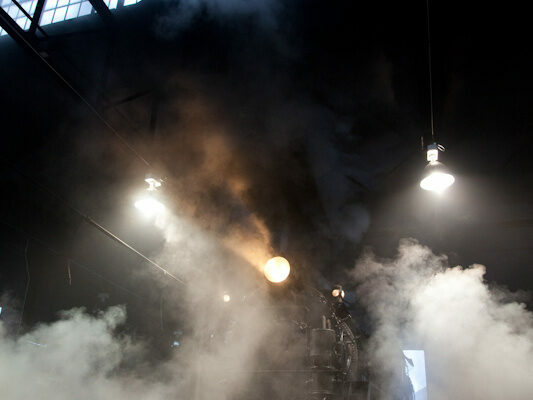 Departing from 4th street or from points throughout the Midwest, excursions behind steam locomotive no. 765 will ferry passengers to destinations on mainline excursions. 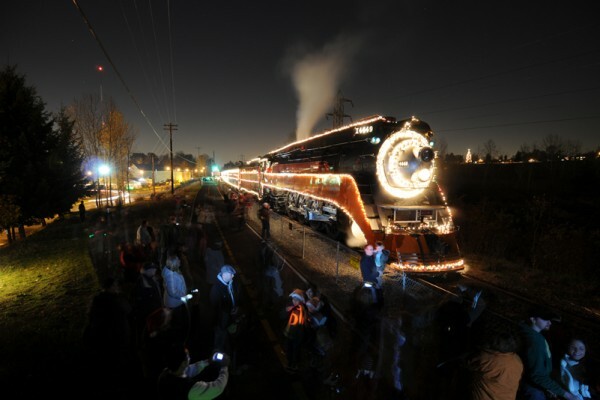 The magic of steam locomotives are augmented at night and nighttime operations coupled with a guided visitor experience will add another layer of excitement to the Headwaters Junction experience. Inspired by the popular children’s television show, Thomas the Tank Engine’s appearance at Headwaters Junction gives young families the opportunity to visit with and ride behind a life-size Thomas the Tank Engine. 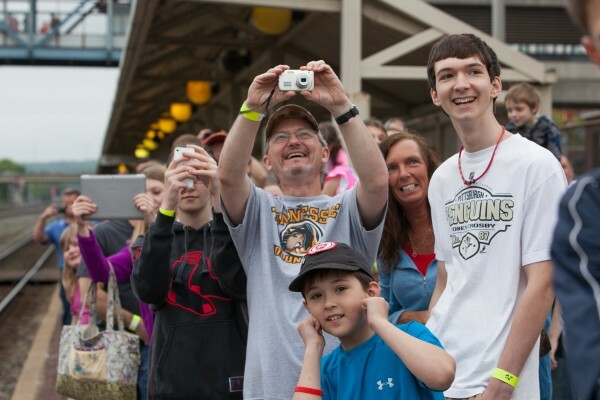 These events have historically doubled yearly attendance at railroad attractions. 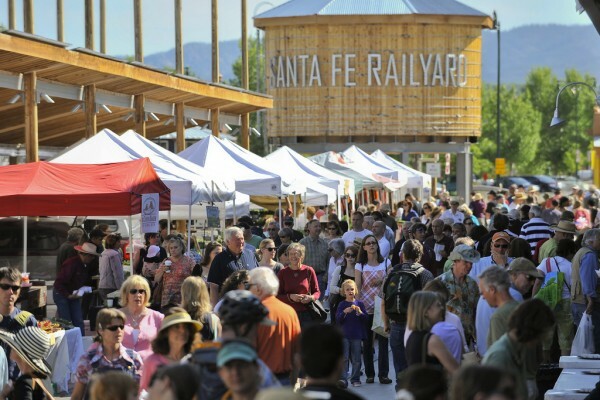 A yearly celebration geared toward locals and their families with special emphasis on inviting the neighbors of the railroad behind the scenes to see how the Junction works, enjoying food, entertainment, and recreation outdoors. 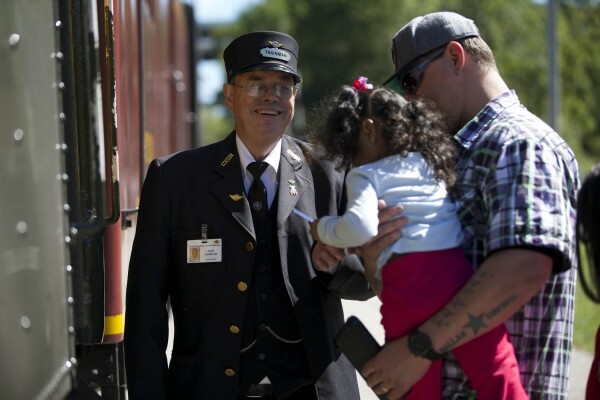 A coast-to-coast celebration spearheaded by Amtrak, National Train Day events take place in cities across the country, with performances, festivals, visiting equipment, and much more offered to the public. Headwaters Junction is transformed into a 1940s USO Canteen, which were known as special station stop points for servicemen and women during World War II and the Korean War. Vintage automobiles, re-enactors, living exhibits, and an outdoor ball scored by jazz and swing music will transport every visitor to the dramatic farewells and rousing homecomings of servicemen both then and now. Railroad operations provide a wealth of educational opportunities with science, technology, engineering, and math as well as history. With special opportunities for middle and high school age curriculum, Headwaters Junction provides a hands-on environment for skills and knowledge application. 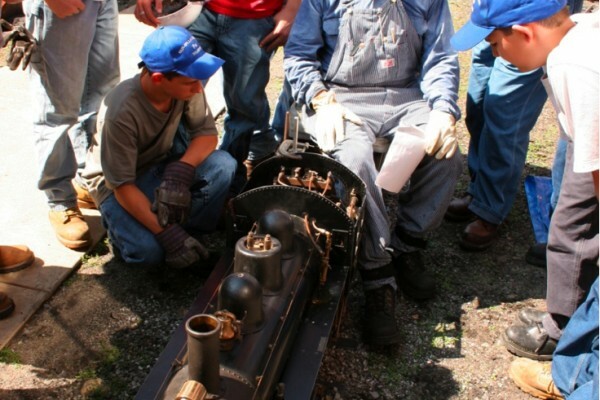 With education outreach programs, ordinary field trips become immersive learning experiences and more challenging project based learning activities can be centered around many aspects of railroad operations – both modern and historic. Students will endeavor to design, rebuild, and implement locomotive components, solve operational and transportation logistics, understand the physics at work in a 1:1 railroad environment, and apply steam power to create energy, horsepower, and and electricity. For adult students and career centers, the dual function of shop facilities as classrooms enables the practical application of learned skills in a workplace setting, allowing students learning opportunities in metal working, fabrication, and machining. Apprenticeships and training of this nature can strengthen the adult workforce and impart new skills in students of all ages. One of the significant educational outreach programs will take place during Railcamp where for one week high school students from around the country and the region will live, work, and breathe railroading as they lay track, operate trains, work in the backshop, learn new skills and trades, discover the history and science behind the country’s greatest industry, and most importantly: have fun. In addition to getting hands on access to the railroad, students will also visit local attractions and tourist destinations and visit neighboring railroad facilities.